Opening webpages for the IHBC’s 2018 School in Belfast – on June 21-23 and exploring ‘Our Shared Heritage’ – have been launched, offering an extended Homepage with links to venues and promotional opportunities, to help delegates, users and advertisers plan their School CPD, travel and business. 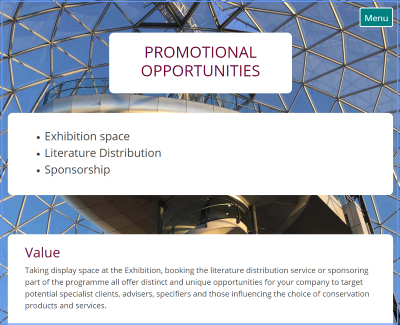 IHBC Director Seán O’Reilly said: ‘With web links now available on School venues and promotional opportunities, any businesses can start planning immediately to take advantage of this unique opportunity to reach IHBC members and networks in European Year of Cultural Heritage’. ‘Delegate booking won’t open till February, but there’s also enough available already to help assess specific CPD benefits for this 2018 School. We’ll be launching our Bursary page on Tuesday too, so prospective applicants can start their planning this weekend!’.